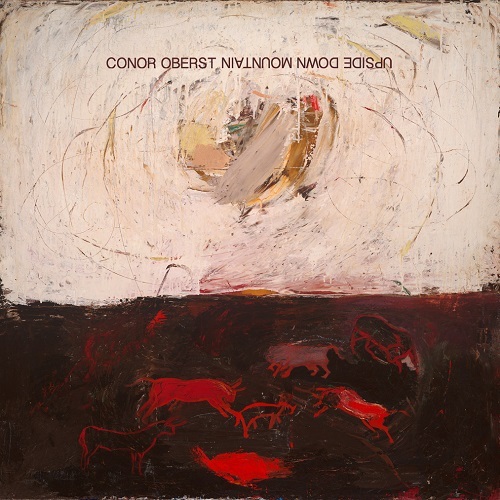 Conor Oberst’s Upside Down Mountain feels like the album he has always been trying to make. Its closest kin in Oberst’s now staggering catalog is 2007’s Cassadega, that album had just the right amount of country influence and found Oberst being honest and at his most whimsical; Upside Down Mountain finds him back in the same place. The album is front-loaded for the most part with two of the album’s strongest tunes in the two and three holes in the lineup. The quirky pop of “Hundreds of Ways” and the calm strut of “Zigzagging Toward The Light” set high expectations for the record that never quite reaches the height of those two songs again but still remains solid. Some good whiney slide guitar on “Double Life” gives the slow song a needed texture and the raunchy guitar hook on “Kick” makes it stand out from the other tracks as well. Overall, all the songs here seem to have a little distinct kick of their own making the album a good listen. To address the elephant in the room though, the song “You Are Your Mother’s Child” may be one of the worst of Oberst’s career. The insincere sappiness comes off as a reach and there is really nothing interesting about the song. With the exception of the one hiccup this album is among Oberst’s best. It looks like this is the direction Oberst will head from here, he has been heading down this path for a while and now he seems to have refined this sound well. This entry was posted in 250 word album reviews and tagged 250 word album review, 3.5 Stars, Bright Eyes, Conor Oberst, record, review, Upside Down Mountain. Bookmark the permalink.